What Happens If There’s a Change Order? – Sometimes, you need to change something about a project to fit your needs. Your contractor should have a process in place to handle change orders in a way that minimizes delays. It’s also important to record any changes that occur throughout your project. How Will You Protect My Property? – Whether it’s a gutter installation or roof replacement, all home improvement projects have the potential to cause a lot of mess. Ask your contractor how they will protect your property and uphold safety measures before starting your project. You need to have an idea of how the work area will be isolated from the rest of your home. How Do You Plan on Communicating? – You have your own preferred way of communication and your contractor does too. 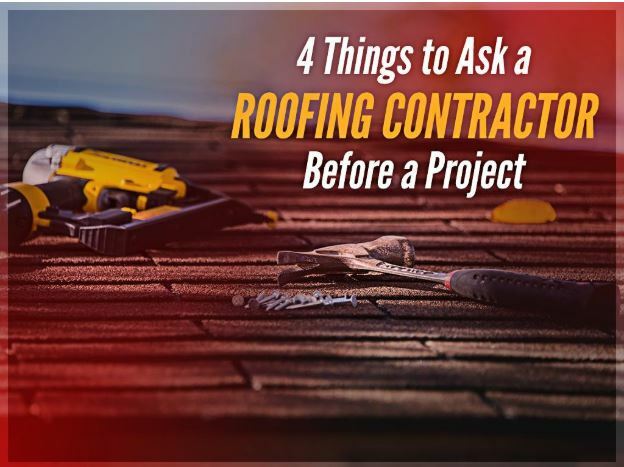 If your contractor’s preference doesn’t provide you what you think you need, then both of you should decide on a method so you’ll always be moving forward when discussing your project. What Part of My Project Are You Worried About? – All projects can face unexpected delays and roadblocks. Fortunately, an experienced contractor can anticipate and prevent common problems to ensure that your project is completed smoothly. Ask your contractor about possible issues that your project might encounter to prevent unwanted surprises. Look no further than YES Contracting for all your home improvement needs. We specialize in several areas, including residential and commercial roofing systems, windows, siding, and more. Give us a call at (423) 702-4000 for more information about our products and services. We serve many areas in TN, including Johnson City and Kingsport City.